Please note that apartments are rented on a "first come, first served basis." That is to say the first person who submits an application (that eventually gets approved) AND a holding deposit, will get the apartment they are applying for. I try very hard to rent these apartments as quickly as I can, and I will rent them to the first person who submits a holding deposit with their application. - If you have not yet submitted a holding deposit, even if your application is approved, someone else may rent that apartment if they submit an application with a holding deposit before you submit your holding deposit. At the time you submit your holding deposit, you will sign a contract, specifying which apartment is being secured for you, and how your deposit will be handled. If you have not signed this contract with me, no apartment is being held for you. - If you have not yet submitted an application, there is no way I can hold an apartment for you. The reason this is done like this is because if I turn potential renters away, because you've submitted an application, or because you have expressed a desire to submit an application, if you don't end up renting the apartment for whatever reason, then I will have lost rent on it because I turned away someone who would have rented it if they had the chance. I simply will not hold an apartment for you until you've secured it with a deposit that I can charge for lost rent in the event you decide not to take possession of the apartment. Please understand I show apartments to 6-10 people almost every day, I get dozens to hundreds of calls every day, and emails on top of that, inquiring about or expressing interest in renting from me. There is no way I can guess which ones will actually take possession of the apartment, and which ones will call me at the last minute to tell me they've decided not to take it. The system I use (scheduling appointments to show apartments and receive applications and waiting to hold an apartment until an application and holding deposit has been received) is the fairest way I've been able to come up with in all the years I've been in this business. If you want to make sure you are able to secure the apartment you want, show up to your appointment with a completed application, and a cashiers check or money order for your holding deposit with the "pay to the order of" section not completed. 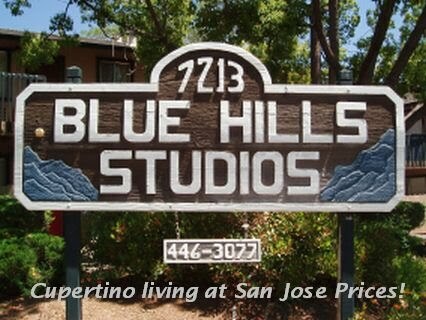 When you decide you want to rent here, fill in the "pay to the order of" section of your check payable to the Blue Hills Studios, and submit your application with holding deposit immediately. When I accept your holding deposit, we will sign a holding deposit agreement, and that apartment will be held for you according to the terms of the holding deposit agreement. That is the beast way to ensure you get the apartment you want.